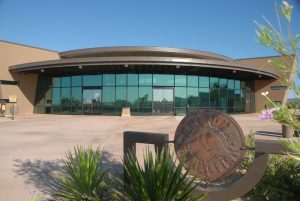 PHOENIX — The next meeting of the Arizona Game and Fish Commission will be at 8 a.m. Friday, Dec. 7, at the Arizona Game and Fish Department, 5000 W. Carefree Highway in Phoenix. The public can attend the meeting or view it via webcast at https://www.azgfd.com/agency/commission/commission-cam/. The meeting also can be watched on streaming video at any of the department’s regional offices statewide. Approval of a memorandum of understanding (MOU) between Army Corp of Engineers, Los Angeles District and the commission to prepare an environmental impact statement (EIS) for the Alamo Dam Water Control Manual Update. Approval of a memorandum of understanding (MOU) with Snowflake Unified School District to allow the department to partner with and provide funding for students and teachers for education, design and implementation of wildlife conservation projects. An update on the department’s involvement with resource management planning and other major actions on federal lands in Arizona. Approval of the renewing of a utility permit agreement with CenturyLink Inc. for use of a portion of commission-owned land at the Robbins Butte Wildlife Area. Approval of final rulemaking amending Article 3 rules addressing the taking and handling of wildlife. Approval of proposed rulemaking adopting Article 10 rules addressing off-highway vehicles (OHVs). A briefing on the license dealer convenience fee project and progress being made on implementing totally paperless draws beginning in spring 2020. A briefing on the history of special big game license tags to qualifying wildlife conservation organizations, which in turn sell them by auction or raffle. The commission may consider the establishment of a committee to evaluate the consistency of auctioning special big game license tags with the North American Model of Wildlife Conservation. The commission will be briefed on the department’s efforts to identify and vet funding source ideas to support a consistent, long-term public awareness and education strategy. The department will provide a summary of public feedback received, as well as information on, the potential to add bonus points to the bonus point structure and opportunities to market to the public. Approval of an intergovernmental agreement between the commission and Maricopa County for participation in the Maricopa County Sheriff’s Office Basic Training Academy. Approval of a cooperative agreement between the department and the New Mexico Department of Game and Fish regarding reciprocal interstate covert law enforcement efforts. A presentation on the diverse partnership and efforts to help conserve and protect the endangered Three Forks springsnail in the White Mountains. Approval of amendments to Commission Order 3 (pronghorn) hunt permit-tag numbers in some units for the 2019 fall seasons. A presentation on the proposed hunt permit-tag application schedule for 2019 pronghorn and elk, and 2019 fall hunts. Consideration of several first-read items (see page 5 of agenda). A copy of the full meeting agenda is posted at www.azgfd.gov/commission.